With the bright colors, the flower symbolizes mercy and vividness. 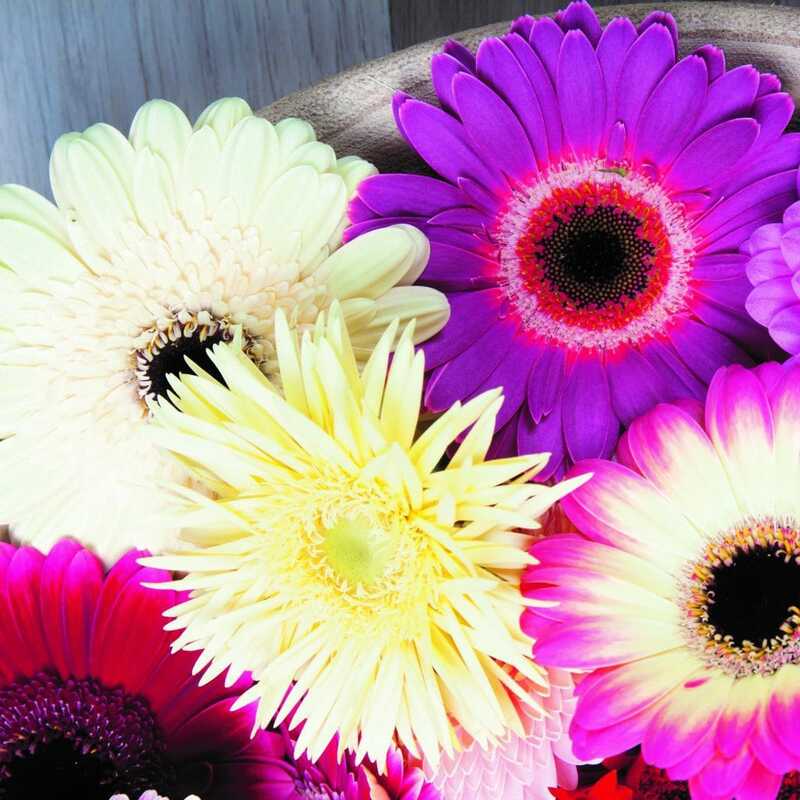 Gerbera is the happy note in a bouquet and also spells out spontaneity, merriness, and strength. 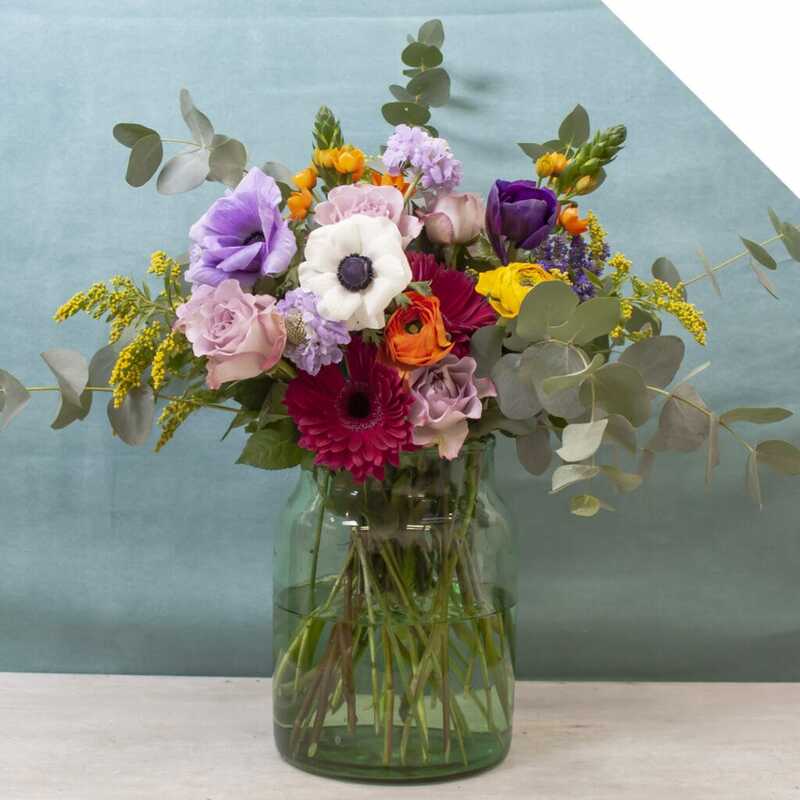 Due to the good vase life and popularity, new types are constantly being added to the range. Meanwhile, the variety of colors in which Gerbera is available is endless. White, cream, yellow, peach, orange, pink, purple, red… All shades are available, and also a lot of bicolor varieties. The flower is well available year round. 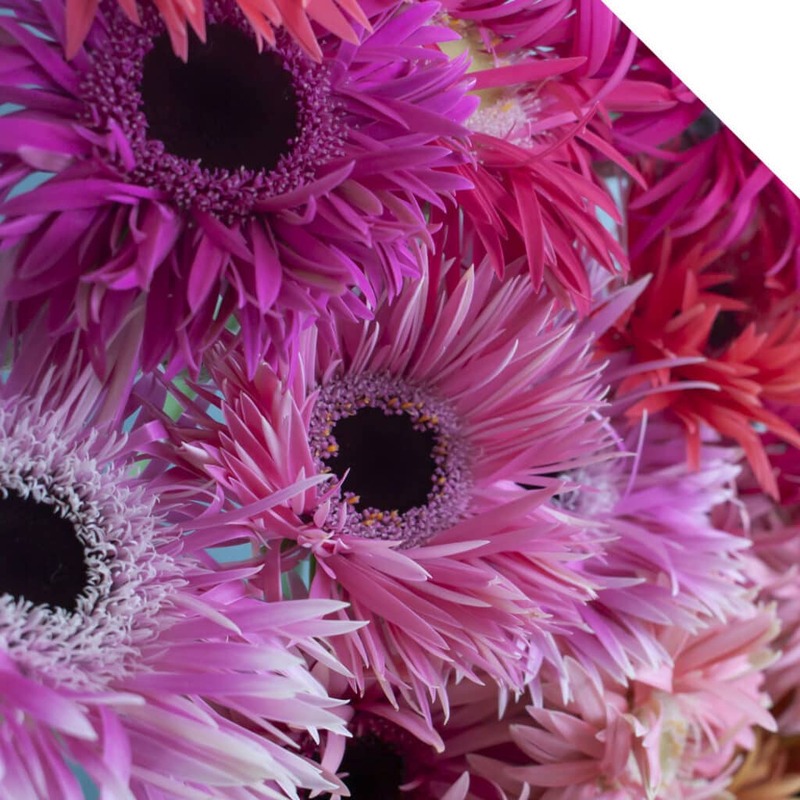 Gerberas can be divided into three types; large-flowered species, small-flowered species (Germini or Mini Gerbera) and specialties. 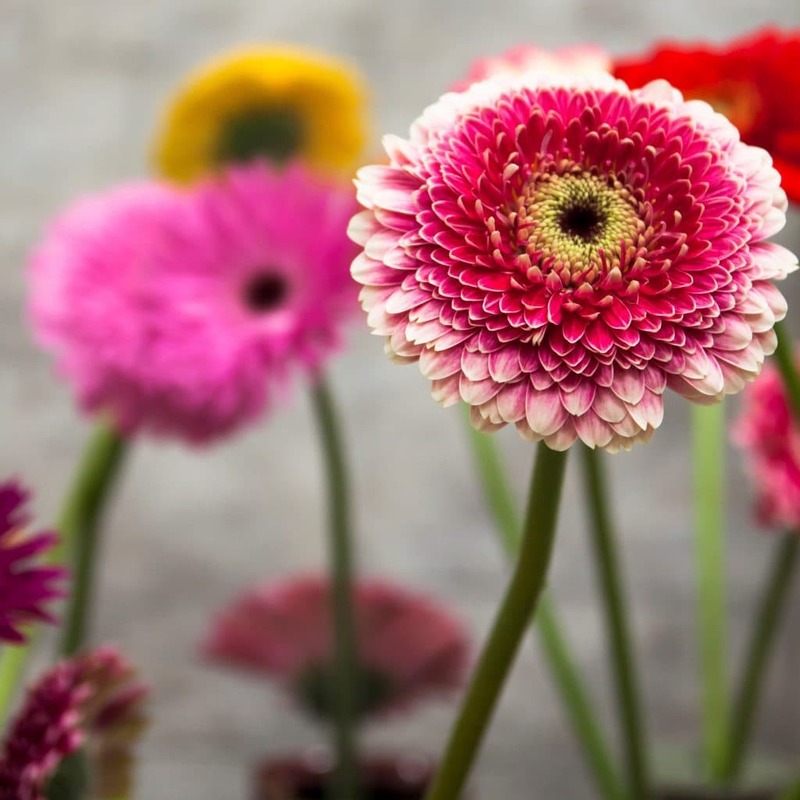 A standard sized Gerbera has a diameter of about 12.5 centimeters; a Germini has a diameter of 9 centimeters. The flower shapes can be subdivided into single, double, spider, and pomponi types. 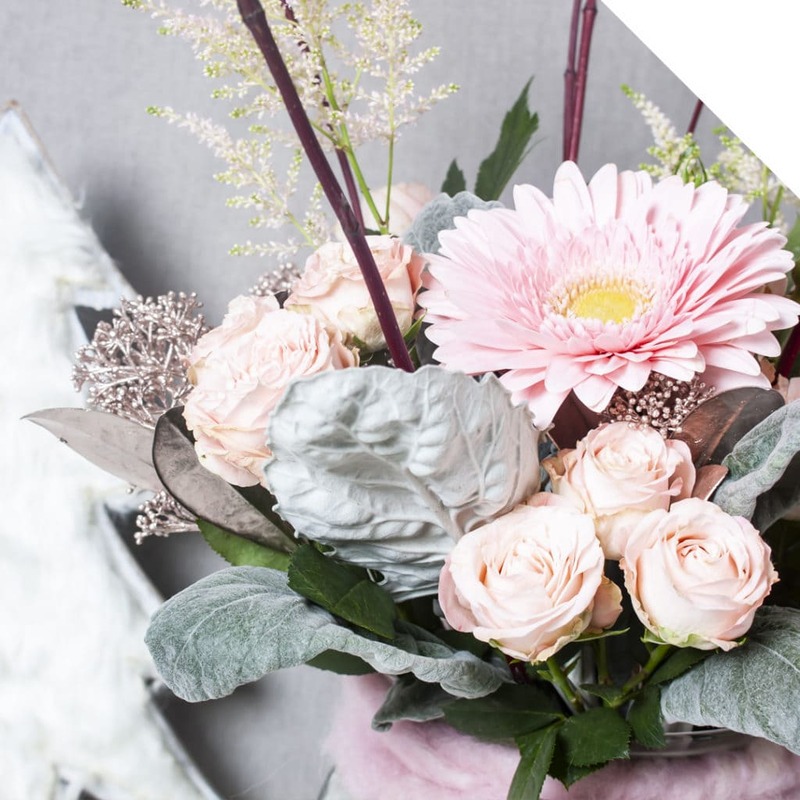 Spread a lot of joy with a mono bouquet with various colors of Gerbera, or mix them with other flowers like Lisianthus, Rose or Calla. 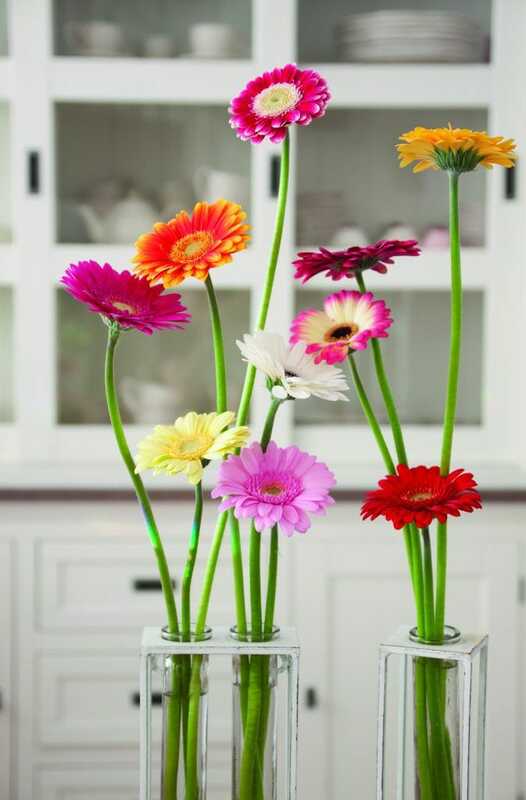 When you use iron wire and water tubes, you can design very creative floral work with Gerberas, because the stems are easy to handle. Use a clean vase or bucket with clean water, and add a few chlorine drops to the water. Consider the water level preferably not too high, due to the sensitivity to rot in the stem.